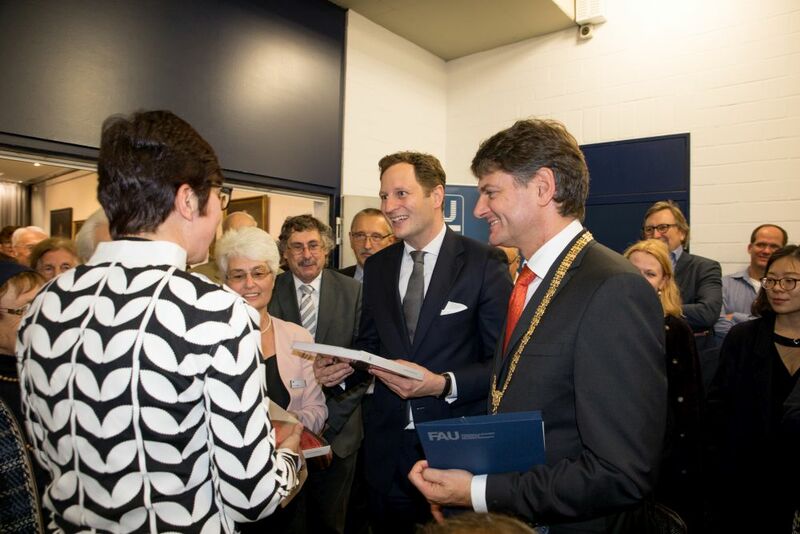 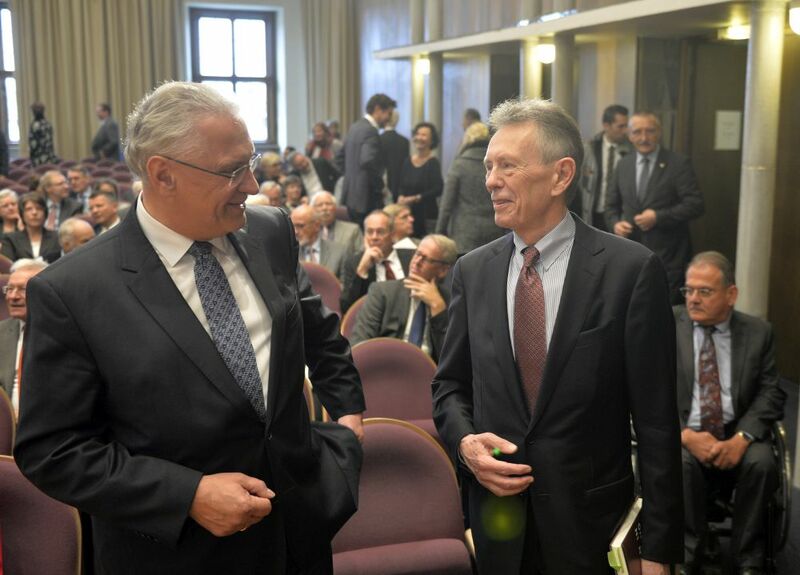 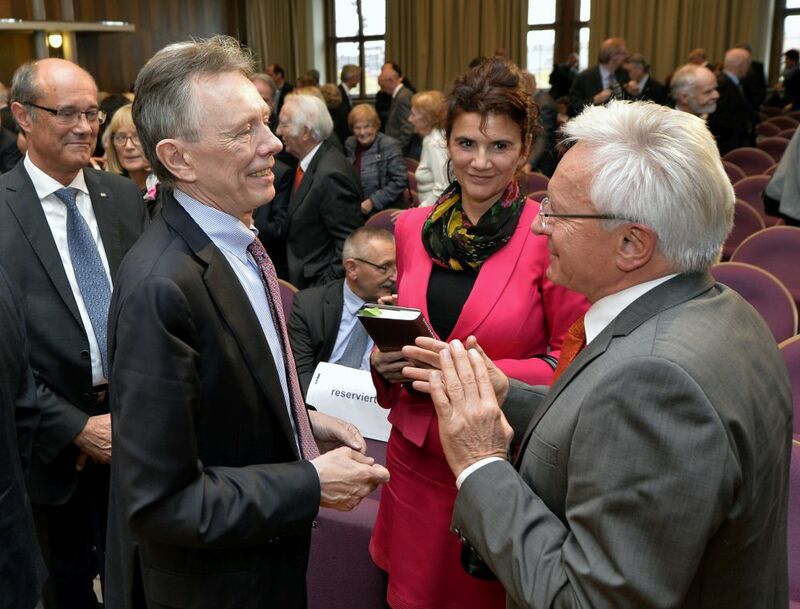 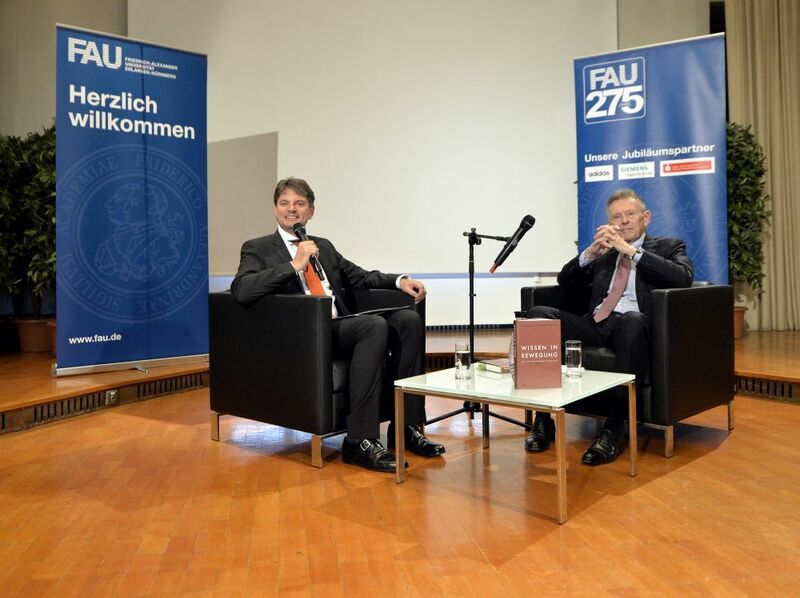 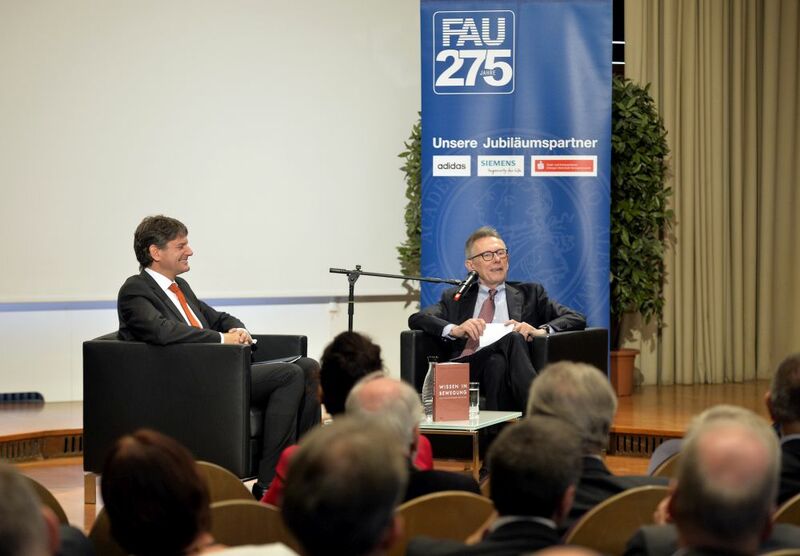 FAU President Prof. Dr. Joachim Hornegger invited members and friends of the University to round off a year of celebrations of the University’s 275th anniversary in the Audimax on 4 November 2018. 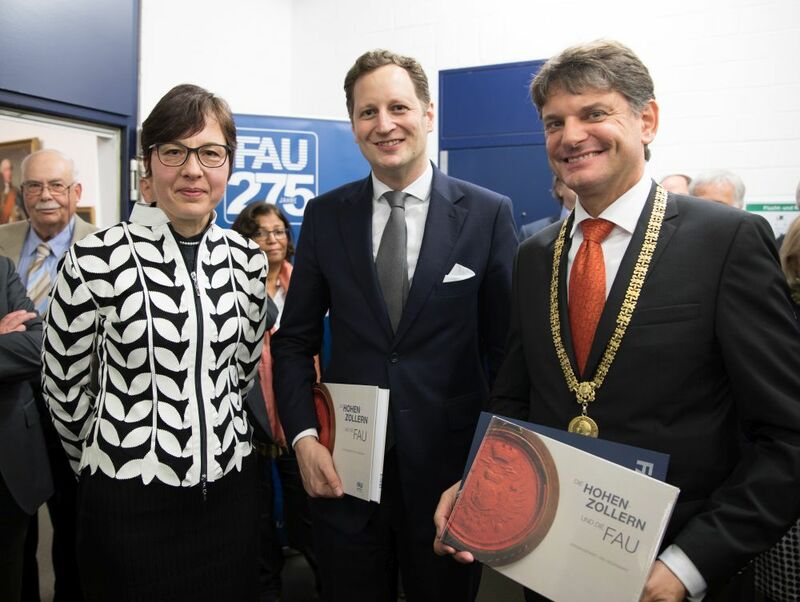 During the festivities, FAU appointed an ambassador and an honorary senator, and introduced this year’s Habilitation Prize winners. 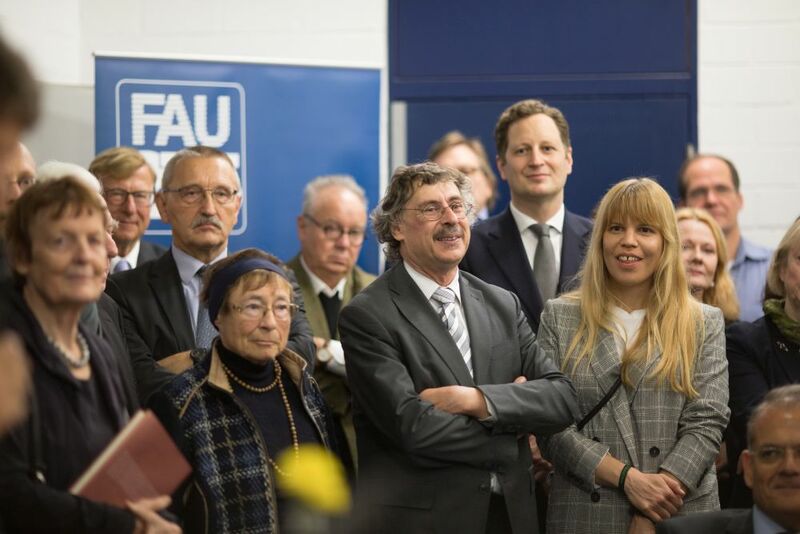 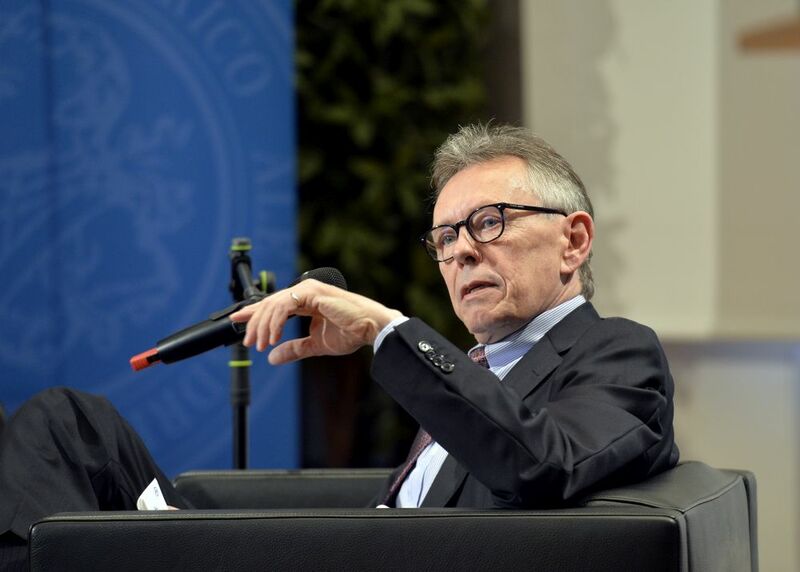 The main topics of the President’s report were the developments that have taken place over the past year and the challenges that FAU will face in the coming year. 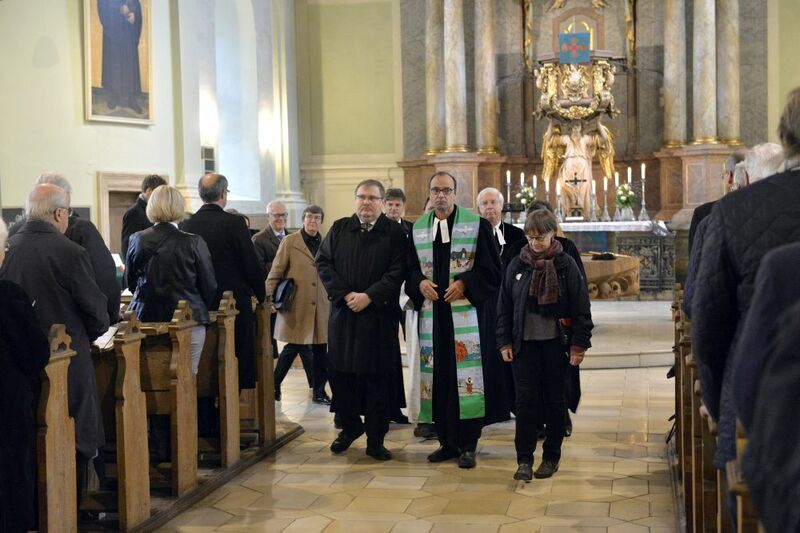 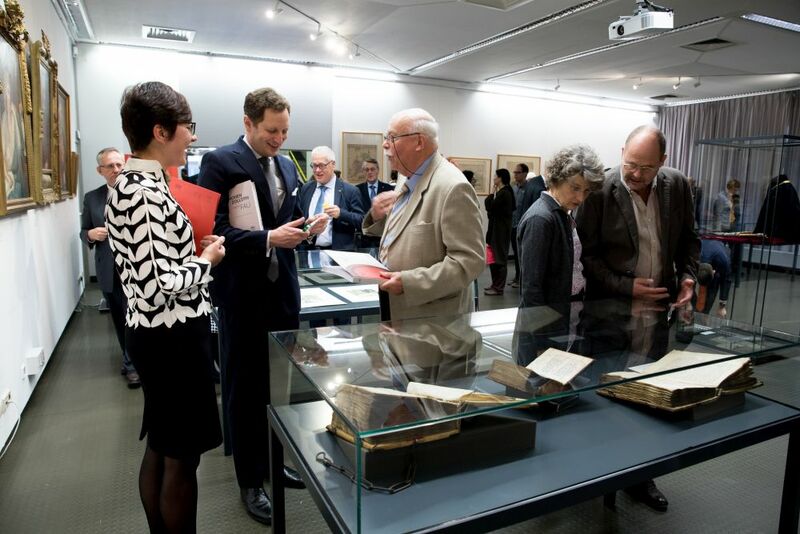 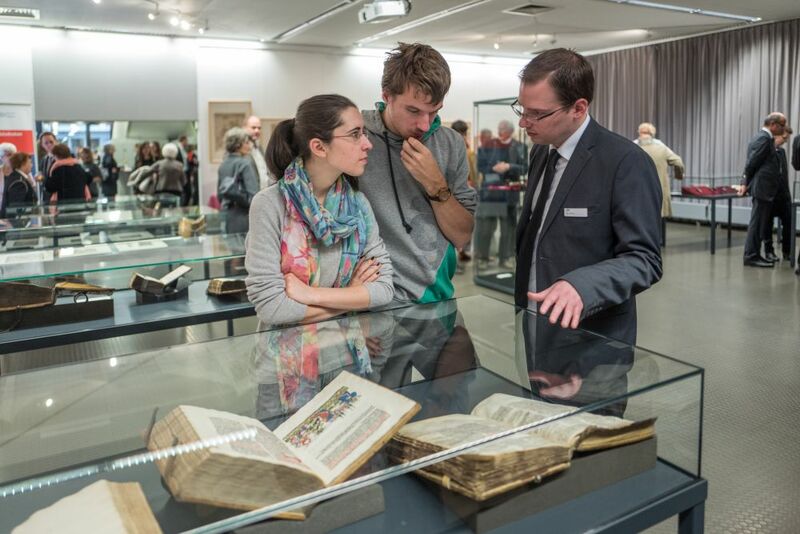 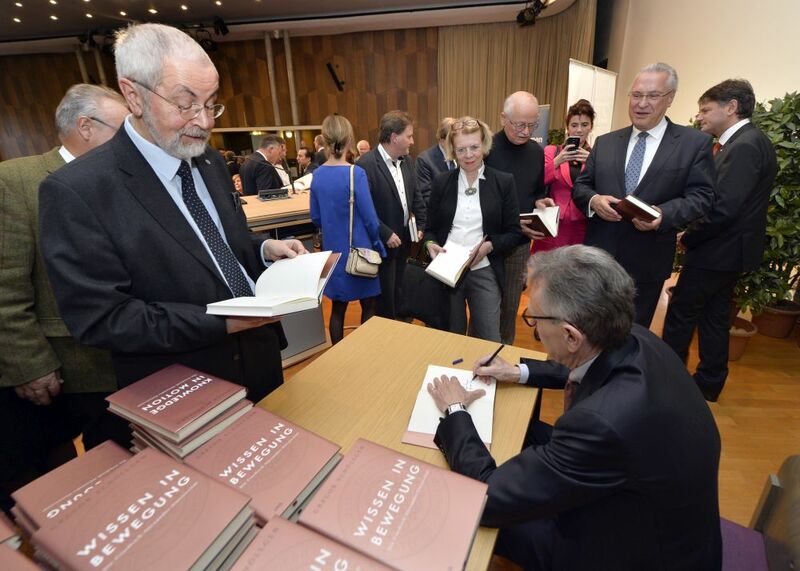 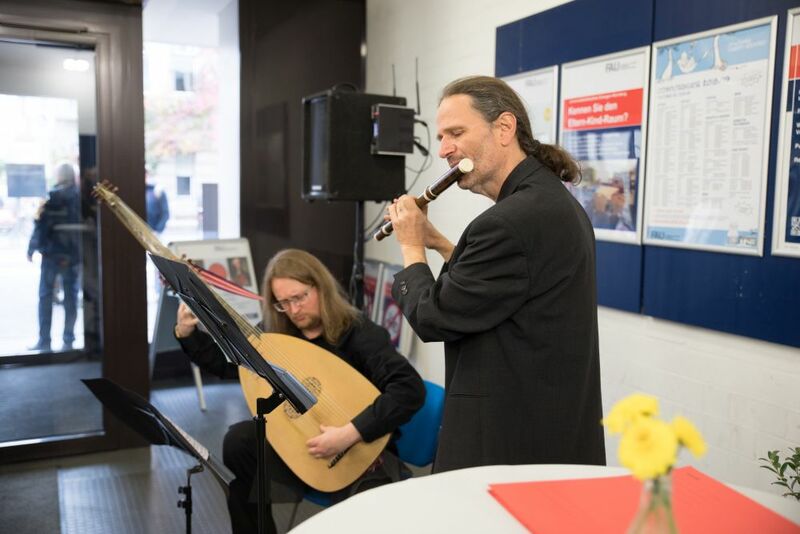 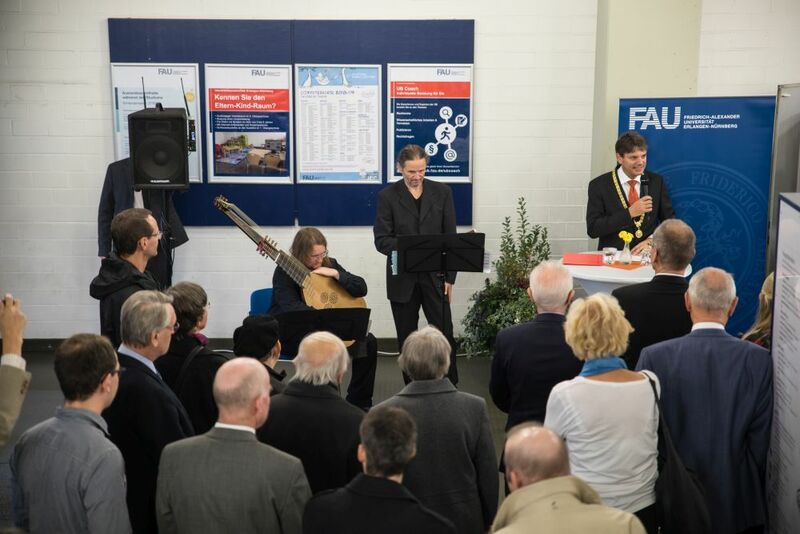 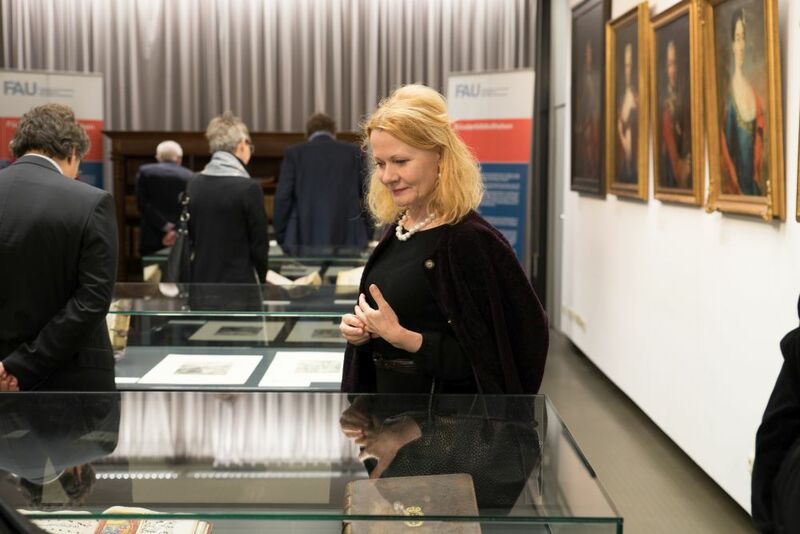 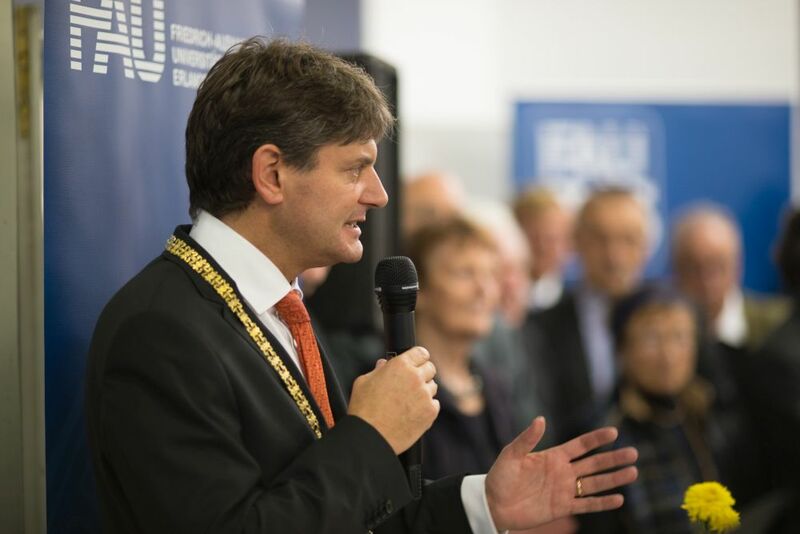 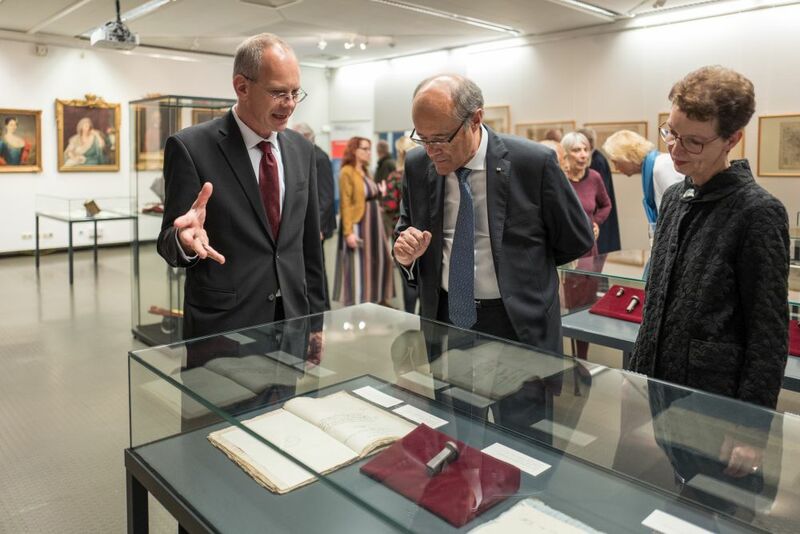 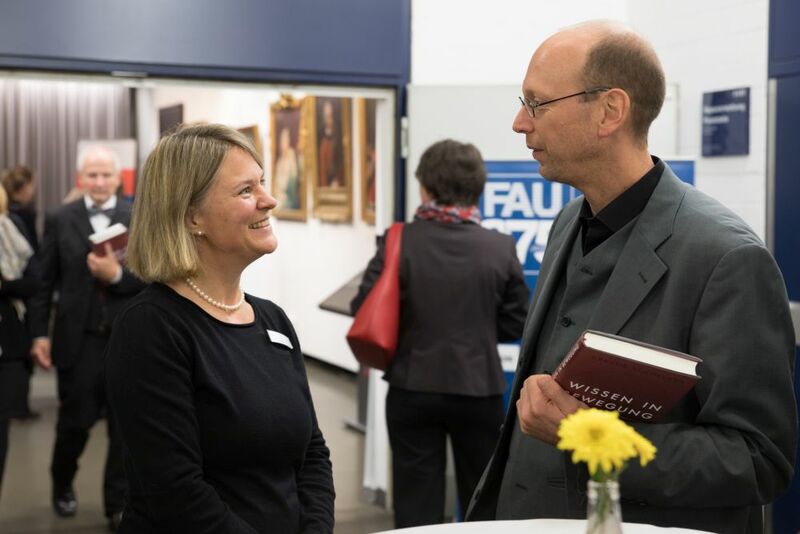 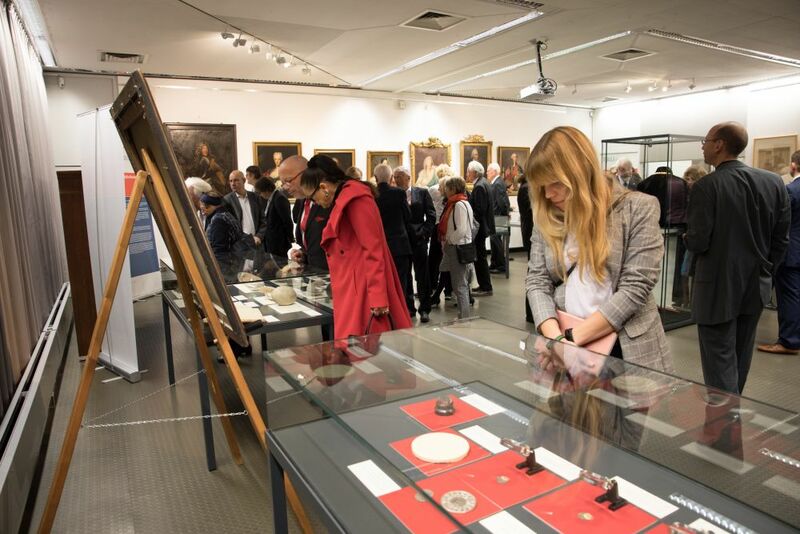 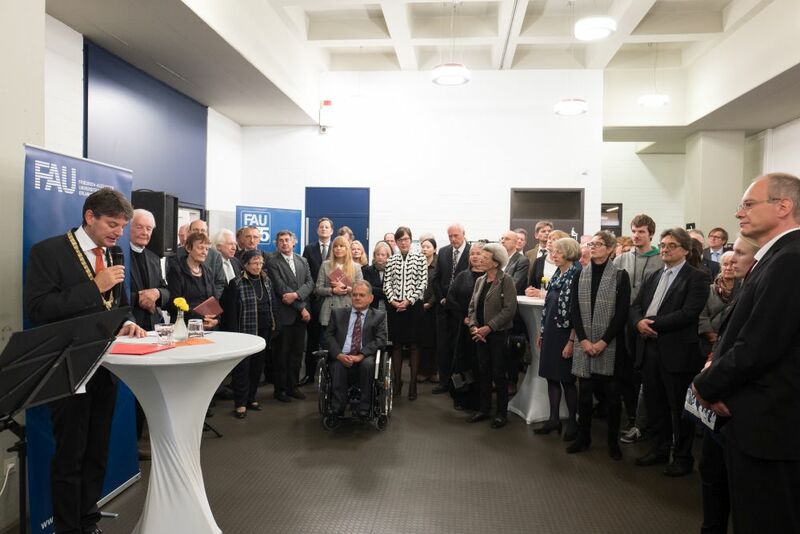 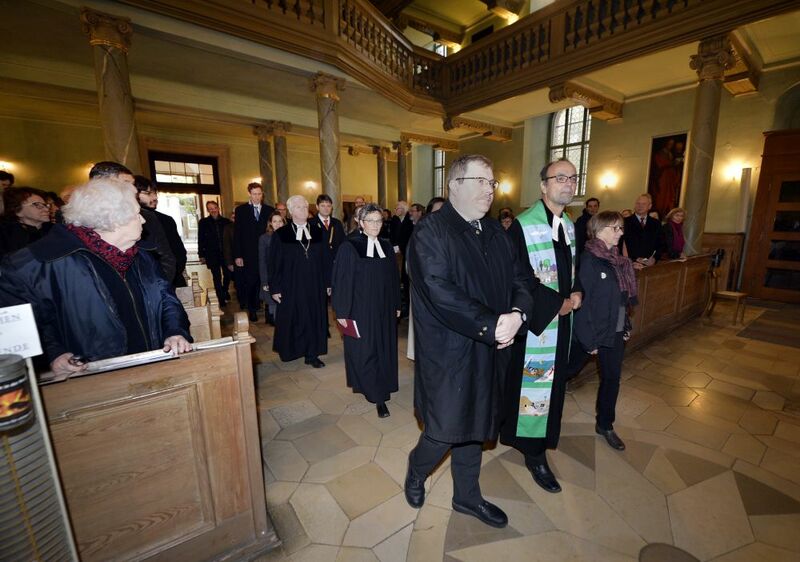 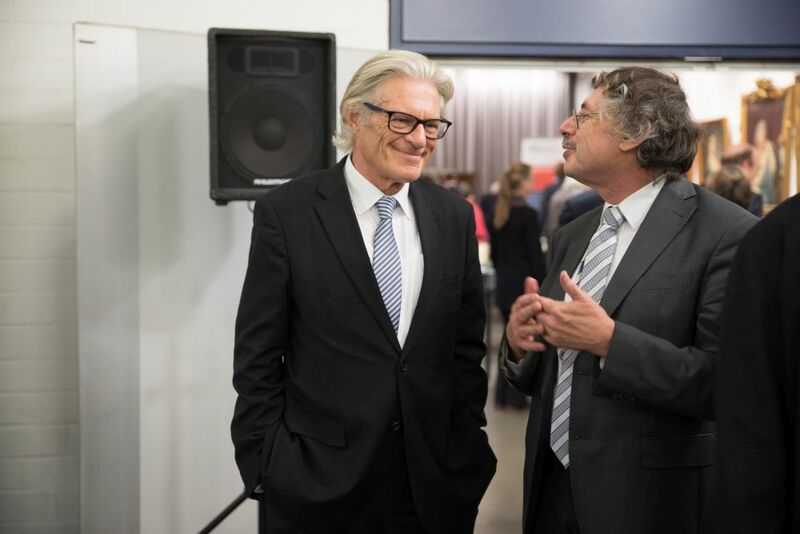 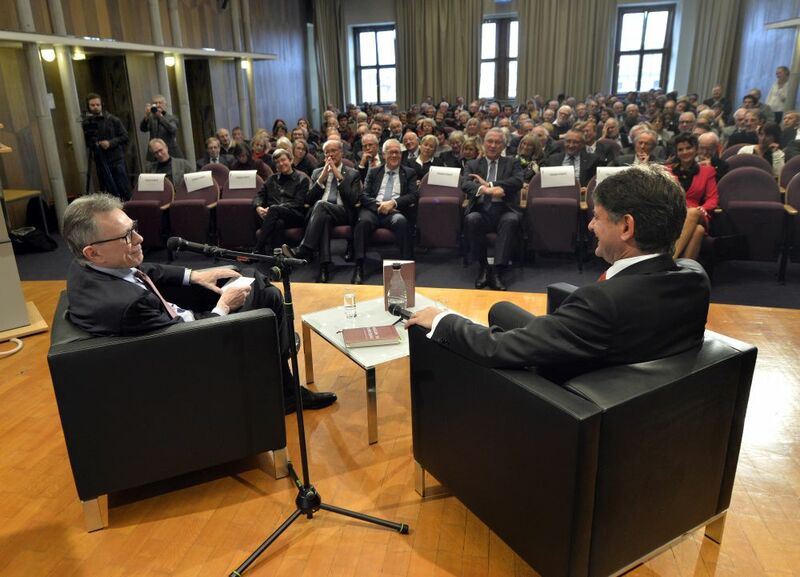 Opening ceremony of the exhibition 'Die Hohenzollern und die FAU - Vergangenheit und Gegenwart' in the University Library of Friedrich-Alexander-Universität Erlangen-Nürnberg (FAU) on 4 November 2018 on the occasion of the 275th anniversary of the founding of the University. 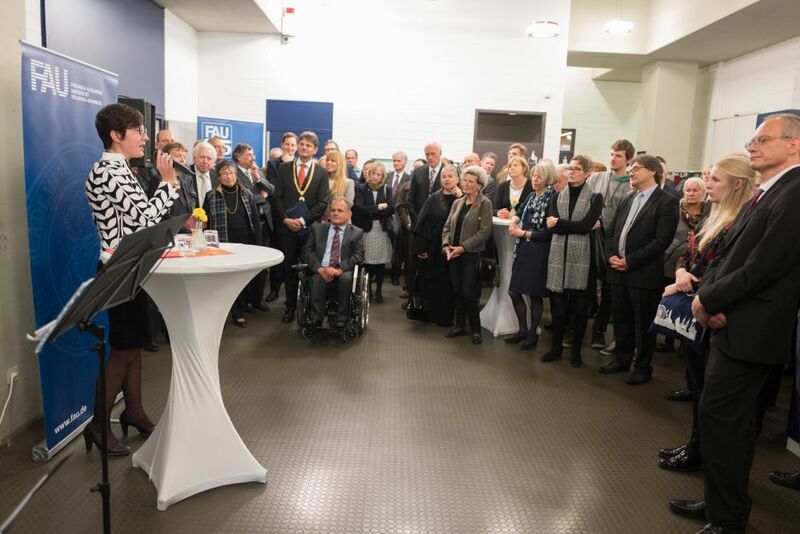 with the President’s speech, contributions from scientists and students as well as the award-winning entries of our ‘Knowledge in Motion’ film competition in the Audimax. 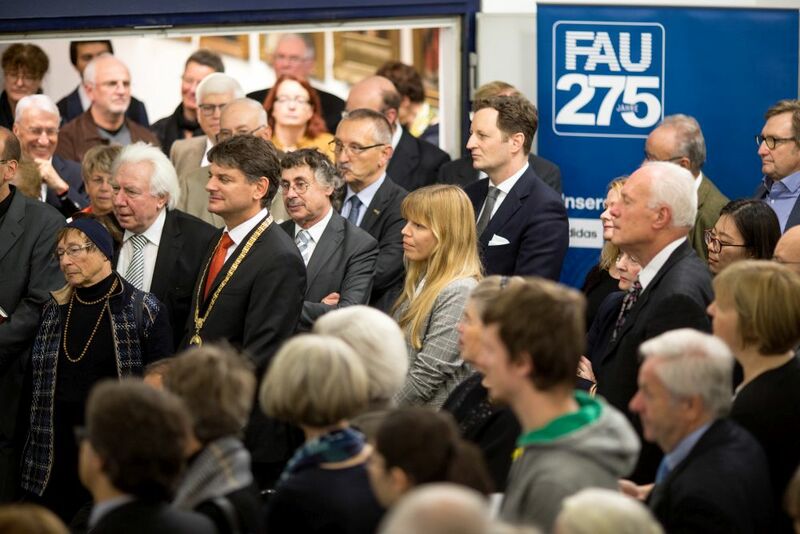 The dies academicus, an event which commemorates the anniversary of the founding of FAU, is celebrated once a year on 4 November 1743. 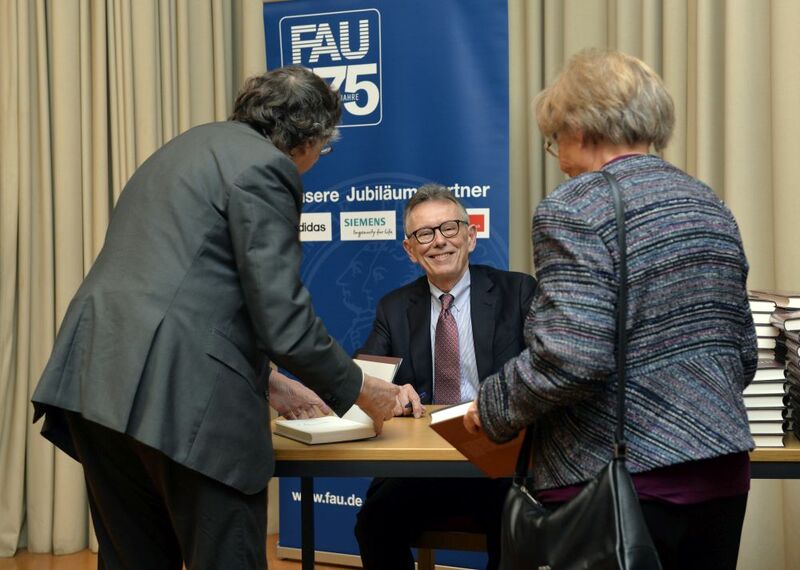 FAU’s President invites everyone to an academic celebration to mark this occasion. 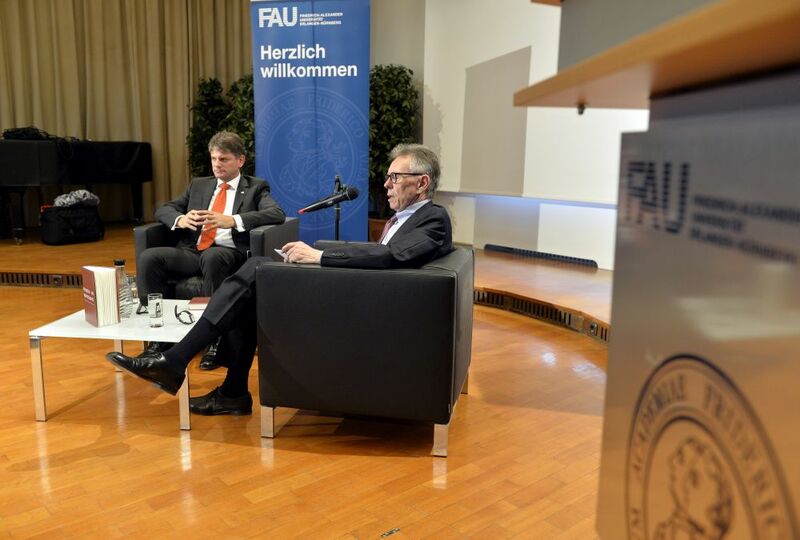 In his speech, the President presents the year’s highlights, the latest developments and FAU’s prospects for the future. 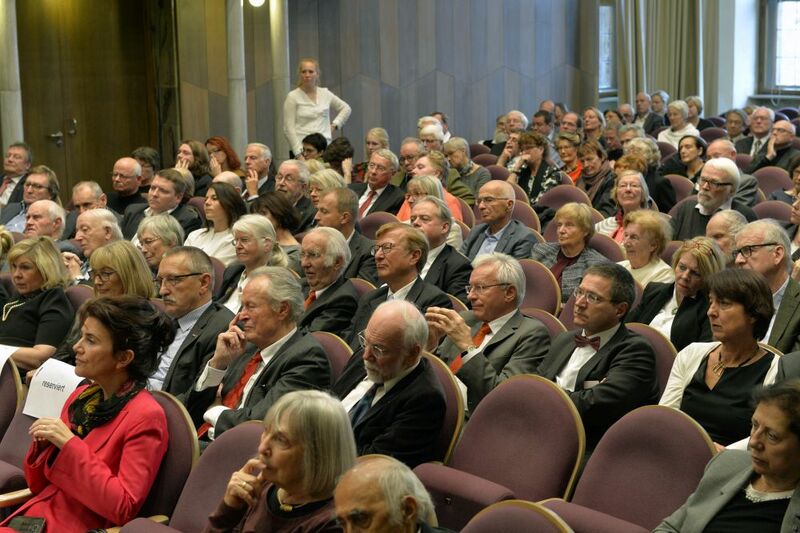 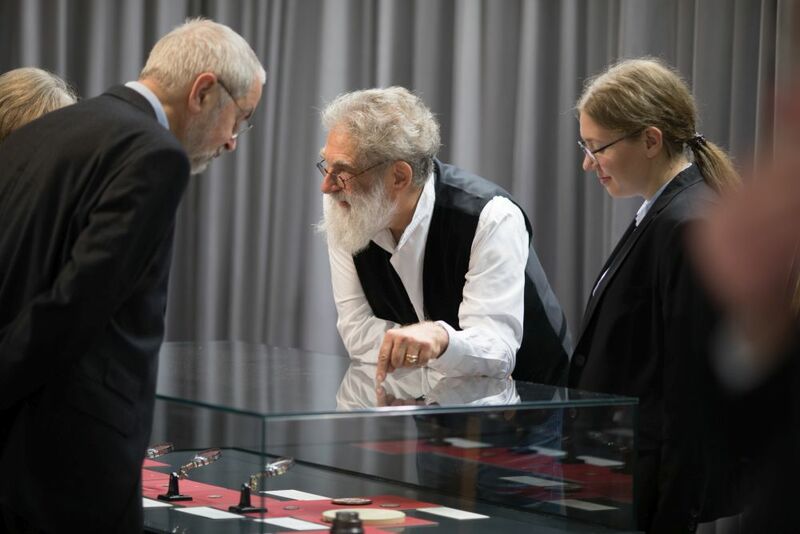 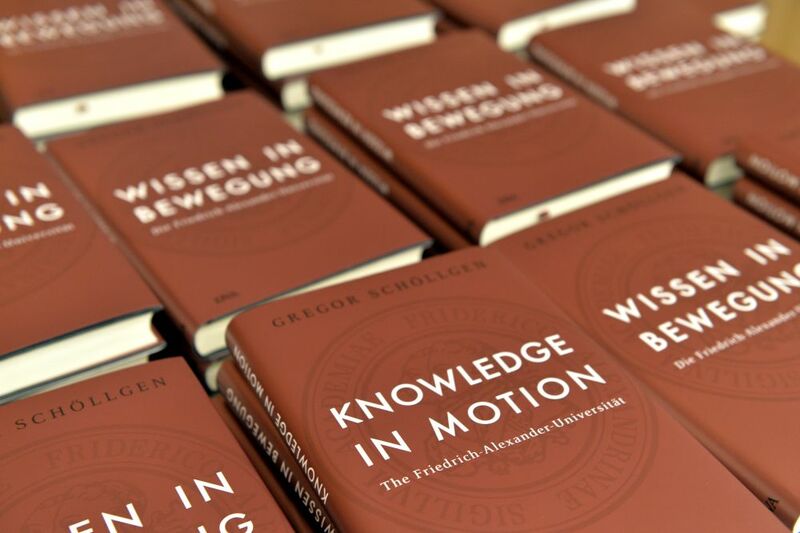 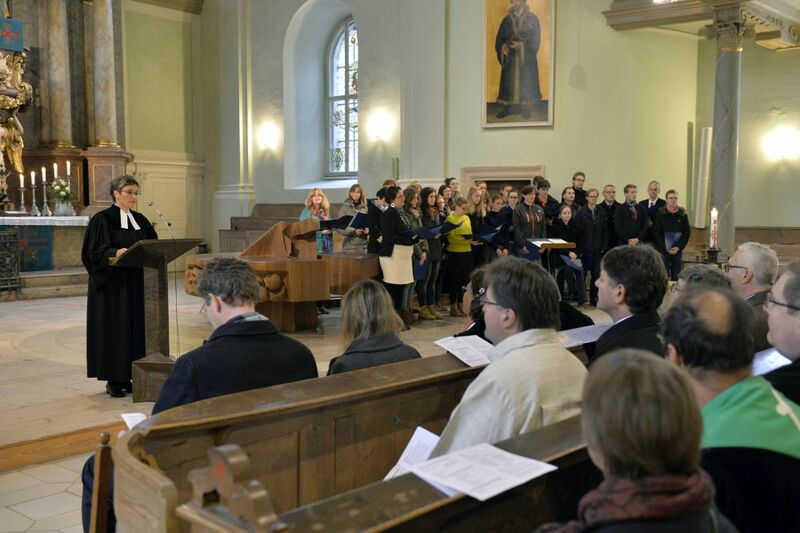 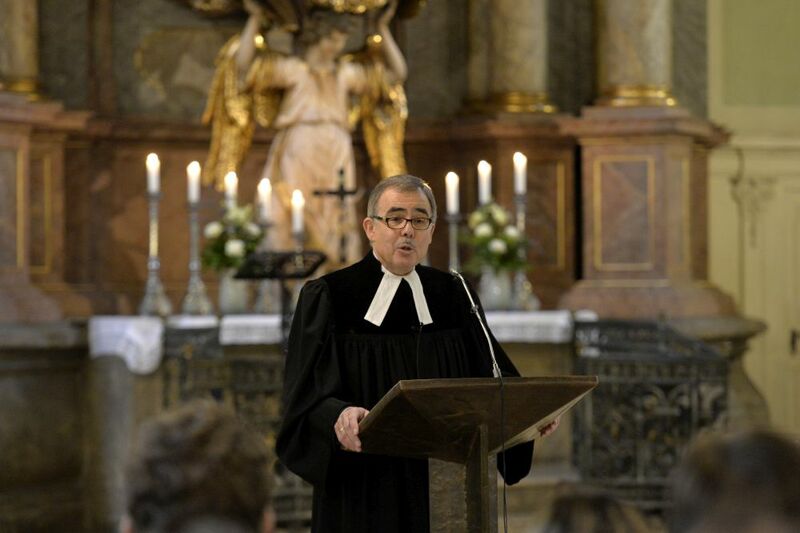 Further information on the programme is available on the German dies academicus page. 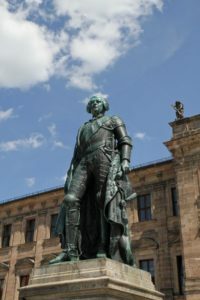 It was the third university to be established in Franconia, after the universities of Altdorf and Würzburg, and was based in the imperial city of Erlangen in the former knight’s academy located on Hauptstraße. 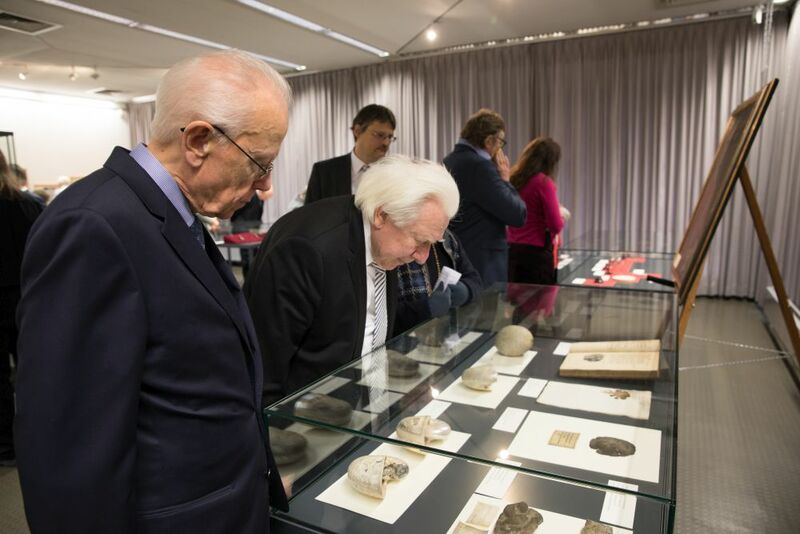 The official opening of the University took place on 4 November 1743, an event which is still commemorated every year at the dies academicus.